Research predicts 122 pollution-related deaths in 2040 if nothing is done to mitigate transportation-related emissions. 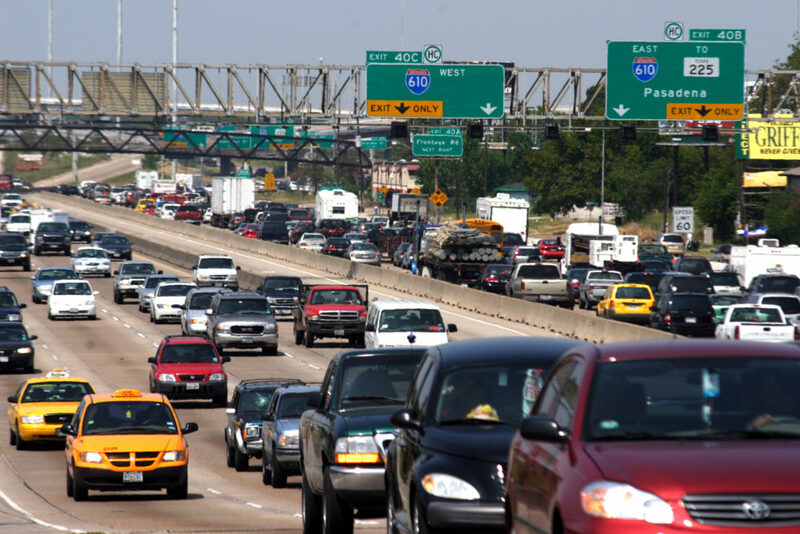 A new report by University of Houston researchers accounts for the health impacts of Houston-area traffic and emissions, based on 2040 estimates. Research shows that if nothing is done to improve transportation-related pollution, it could lead to an additional 122 deaths in 2040. The research also estimates impacts in 2040 if cleaner transportation technologies were adopted by all Houstonians. The full turnover scenario, which is an estimate made considering all cars are made cleaner (35 percent electric vehicles and 65 percent clean combustion vehicles), shows a 90 percent cut in harmful emissions from 2013, all despite a 50 percent projected population growth. The study, commissioned by the advocacy groups Public Citizen Foundation and the Healthy Port Communities Coalition, also shows the city would save an estimated $2.4 billion dollars in preventing pollution-related deaths. The full clean energy scenario would also reduce cases of asthma by nearly 25,000 each year. Additionally, 18,000 days of missed classes would be regained under a full city-wide clean energy transition, according to estimates. Projections are based on a scenario where 65 percent of cars are using clean combustion technology, which have a reduced environmental impact. According to Shelley, in the Port of Houston DPF filters are not effective under certain circumstances, since trucks are running there for long periods of time without moving. “Electric vehicles, by contrast, do not produce any vehicle emissions under any operating conditions,” Shelley said.